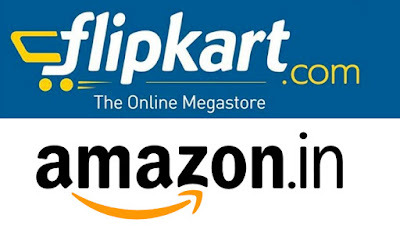 How to get Double Discount on Flipkart and Amazon? We are offering additional cashback 'Double Discount' IN ADDITION to existing offers and sales via our marketing partnership. You Will earn extra cashback as Paytm cash or Google Pay/Tez. You need to follow simple single step, i.e. shop on Amazon and Flipkart by clicking below banners. And make sure you don't add products in shopping cart already. 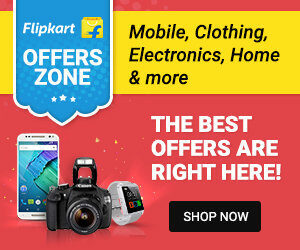 Click on this link to shop from Flipkart and earn extra cash. Click on this link to shop from Amazon and earn extra cash. 1) Once you received order. Fill up the form here (http://blog.immense-solutions.net/p/cashback-form.html). 2) we will credit earned Paytm/Tez cash in your account after 7 working days from order delivered. 3) You will earn Paytm/Tez cash of 1 to 5% of product price, depends on product category. 5) All rights reserved by publisher for eligibility of cashback deal.